Pause and guess the most popular brand in America. Now, pat yourself on the back if you guessed Amazon. Earlier this week, consumer data research company Morning Consult mined its statistics from the year and named Amazon the most loved brand across all 50 states. It’s actually the second year in the top spot for the powerhouse of a shopping destination. This comes as little surprise, seeing as it’s the place you can buy just about anything and have it delivered the next day. Clothing, groceries, decorations, beauty products—you name it and you can shop it through a simple swipe. You already know that, though, being the seasoned Amazon shopper we know you are. To add to the temptingly easy way to shop through Amazon, I had my fellow editors share the items they plan to buy in the upcoming year. There’s definitely a theme when it comes to our picks, we all look to the Jeff Bezos–owned destination for updates in the wardrobe basics department. For everything from simple bike shorts to the freshest pair of Nikes, scroll down to shop the fashion items we’re buying on Amazon in 2019. 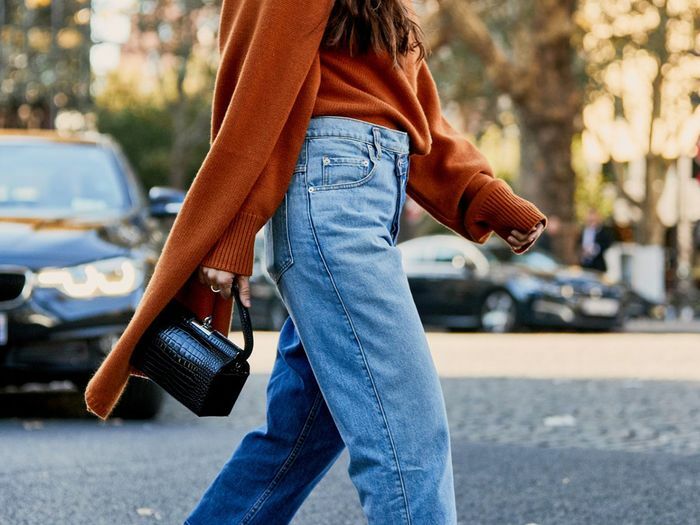 "I wear jeans a minimum of three times per week, but come 2019, I'll be putting them on hold for a moment to see what all the hype around cargo pants is about." "Faux-fuzz coats are everywhere right now, and it's this updated trucker jacket I'll be bundling up in all winter long—and, to be honest, where and whenever there's AC." "I think the crystal statement earring trend will last well into 2019, so I'm stocking up." "Teva-style sandals are a big 2019 trend. I already own these, but I wore them in a river in Belize a few years ago, so I think I should probably replace them." I love the large rib on this sweater, and since the cardigan craze isn't going anywhere, I think it's time I add this to my wardrobe. Levi's just launched this new silhouette this week, and I can't wait to try the high-rise fit. The style also comes in two other denim washes. Cotton Citizen is by far my favorite brand for simple basics like tees and tanks. I'll get so much wear out of this basic, no doubt. "It might be excessive because I already own Nike Cortez sneakers in two colors, but now I'm eyeing the navy versions for next year (sue me)." "I'm 100% behind utility pants, which will be big for spring. Bella Hadid recently stepped out wearing a similar version." "There's no doubt about it—bike shorts are poised to be huge in 2019. I'll be wearing mine to the gym or pairing them with a belted blazer." "Leather coats were all over the S/S 19 runways. I'll be swapping out my tan trench for this sleek version." "I plan on restocking some wardrobe essentials like black jeans. I wear mine so much that come next year, I'll definitely need a new pair. These Levi's are affordable and just the cut I look for in a wearable pair of jeans." "To hopefully help motivate me on my New Year's resolution to put my gym membership to better use, I'll be stocking up on stylish gym clothes like these metallic leggings."